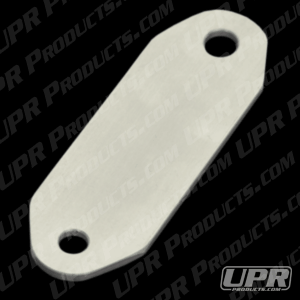 Block off the opening left after removing the EGR valve with UPR's EGR Eliminator plate. Designed to cover the opening left when removing the stock EGR valve. 1987 1988 1989 1990 1991 1992 1993 5.0 V8 Mustang Steeda Roush & Saleen Vehicles. No one else can stack up to the bold clean styling of our aftermarket Billet dress ups, Street Strip & Racing Suspension & Performance Parts for your late model American Muscle Car!